A series of charity concerts are bringing big name musical acts to Oswego this weekend. On Saturday, Grammy-Nominated acts “The Goo Goo Dolls” and “Gavin DeGraw” will perform in support of “Cal’s Angels,” a fundraising effort for children fighting cancer. On Sunday, The NFL Alumni Association of Chicago is hosting a concert featuring Billboard Top 40 artists “Echosmith” and “The Score.” Proceeds from that concert are benefiting nonprofit organizations including the American Cancer Society, Bike Bald, and the Gary Comer Youth Center. And on Friday, Christian music recording artist Phil Wickham is performing in support of “Go Teams” mission work. 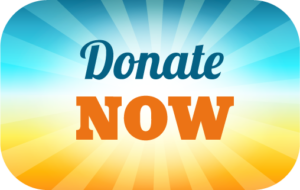 The benefit concerts are taking place at Arranmore Farm and Polo Club in Oswego Township off of Route 30 on Rance Rd. 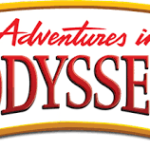 Adventures in Odyssey is an Evangelical Christian Radio drama and Radio comedy series created and produced by Focus on the Family for kids. The series first aired in 1987 under the title 'Family Portraits' and has over 800 episodes to date. As of 2005, the show's daily audience averaged around 1.2 million within North America. The Odyssey radio series also includes several spin-off items, including a home-video series, several computer games, and books. The series centers on the fictional town of Odyssey, and in particular, an ice-cream emporium named Whit's End, and its owner, John Avery Whittaker, who was originally voiced by Hal Smith. April is Daffodil Month and the Canadian Cancer Society is looking for volunteers to join them in raising awareness and funds to help people live their life more fully. It only takes a few hours of your time to make a difference! The Canadian Cancer Society is looking for people to help sell daffodils in Amherst. Every year, thousands of Canadians across the country volunteer for Daffodil Month. By getting involved, you’re showing those who’ve been affected by cancer that they’re not alone. Each minute you spend out in your community is an important and meaningful action that helps us move towards a future where fewer of our family members, friends and loved ones have to face this disease. Volunteer and prove that life is bigger than cancer. Take action now. April is fast approaching so sign up to volunteer at cancer.ca/daffodil or 902-423-6183. Come and watch Watoto Children's Choir "We Will Go" tour on April 25, Thursday at Salisbury Baptist Church 3128 Main Street, Salisbury, New Brunswick at 6:30 pm. Admission is free but seats are limited so come early! Take a walk on the wild side with the Downtown Halifax City Nature Walk on Friday, April 26, at 11:45 am, for a walking tour guided by a local landscape architect. The tour will depart at 12:00 noon and is free and open to the public. Participants will receive a special gift of wildflower seeds (while supplies last). For more information, visit downtownhalifax.ca/naturewalk.